Two weeks of a thought provoking and intense summer school have left me excited, and intellectually invigorated. 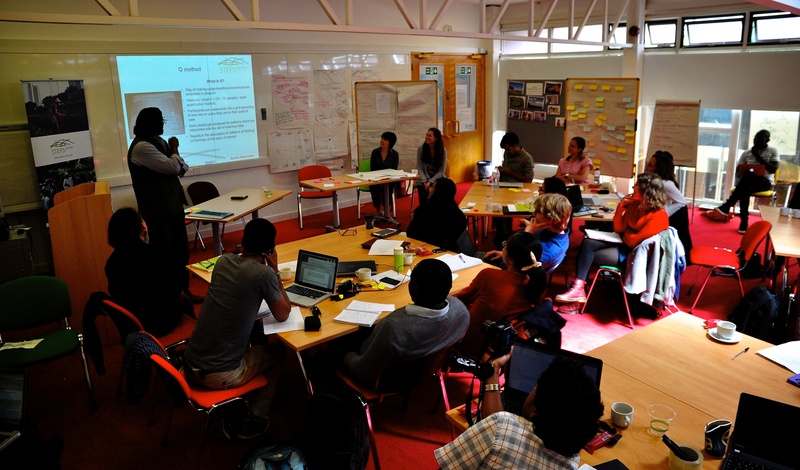 I was fortunate to take part in this year’s STEPS Centre Summer School on Pathways to Sustainability, held from 12-23 May 2014. The STEPS Centre (Social, Technological and Environmental Pathways to Sustainability) is a think tank launched in 2006 by the Institute of Development Studies and SPRU Science and Technology Policy Research at the University of Sussex, UK. Scholars at the STEPS Centre have been conducting multidisciplinary research and engaging in policy in the areas of food, energy, health and water, working with partners in Asia, Africa, Latin America. Talk about diversity personified: there were 38 participants—students, post-docs, practitioners and scholars—from 25 countries, coming from a wide variety of disciplines: sociology, law, science and technology studies, engineering, business, economics, and agriculture, just to mention those I can remember. In fact, the diversity of backgrounds was compounded by the fact that most people had changed disciplines once or twice in their careers. You can imagine how rich the discussions were due to wealth of experiences in the room. Despite such diversity, it was amazing to see the convergence in worldviews and endeavors. Everyone was passionate, and anxious to do something tangible about the persistent problems of modern-day life, be it poverty, inequality, disease, water and land injustices, or climate change and environmental vulnerabilities. We all agreed that the world is highly complex, dynamic and uncertain, and therefore, any debate about these issues must itself acknowledge and embrace this complexity. We also agreed that context matters—local dynamics and uncertainties matter, and differ from one place to another, so there is no universal silver-bullet across-the-board solution. Further, there is no singular objective view of problems and solutions; the perspectives of different actors in a given context, including, and especially those of marginalised actors, matter. With that as the baseline, the summer school challenge thus involved navigating new and existing theoretical and methodological strategies that could help us deal with such complexity in a practical manner—in our academic work and in the real world. So, you guessed it, the summer school was mind-boggling for many of us, especially those of us confronted with new cross-disciplinary perspectives. Chit-chat on one of the social events. We talked about many topics, among them innovation and sustainability, grassroots innovation and transition theory, risk and uncertainty, policy processes, and futures and scenario planning. To enable us engage with the flood of theory, we discussed several case studies while applying various aspects of the pathways approach. The case studies made the summer school very pragmatic for me, and many of the discussions are still imprinted in my mind. If interested, the case studies are available here among the STEPS Centre projects. Check out this one on maize innovation in Kenya, and one on water titled liquid dynamics (such a nifty title, isn’t it?). I must take a moment here to credit the STEPS people for their innovativeness, raw effort and commitment, intellectual honesty and pure passion. They have been working on the Pathways Approach for several years now, applying it in cases around the world, testing and extending their theory and methods, taking risks in their scholarly careers, and getting policy makers and practitioners to engage with it. I was deeply inspired to see the evidence of such long-term dedicated effort. Listening to the lectures and the patient answers they gave to our skeptical questions, and observing and interacting with them, one could not help but feel the depth of personal commitment that each of them had to this work. It was palpable. During the course of the two weeks, I often thought: this is exactly what a research career ought to look and feel like—a passionate endeavor, to address a problem beyond oneself, to make a tangible contribution to humanity (and non-human elements too, I suppose…). This personal aspect of the summer school has definitely left a mark on me; a challenge to do meaningful work, whatever it takes, and to engage with the world far beyond conference presentations and journal publications. The summer school was non-traditional in many aspects. I liked the casual atmosphere that came through among other things, the conversational setup of the room and the laid-back nature of the teachers and participants. 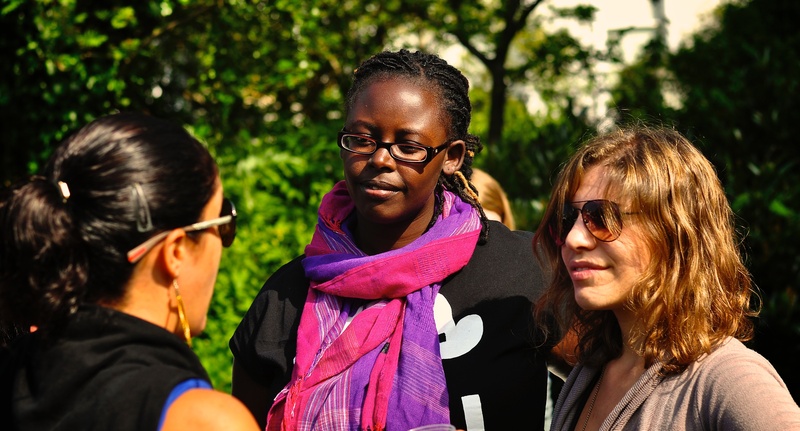 The summer school used a variety of pedagogical methods ranging from lectures and large-group discussions to world café sessions and ‘walkshops’. The walkshops were the highlight for me: going outdoors to walk in the South Downs and sit on the grass while discussing challenging questions was quite intoxicating (see here for more about how walkshops improve creativity). Towards the end of the programme, participants organised a highly unconventional ‘conference’. The beauty of sustainability topics is that they can be presented in dramatic role-plays, cyclonic journalistic reports, reflexive meditation sessions and poetry, participatory pass-the-ball games and drawing challenges, and even in a wildly chaotic rendition of a ‘Ready Steady Cook meets Maker Faire’ innovation game challenge. 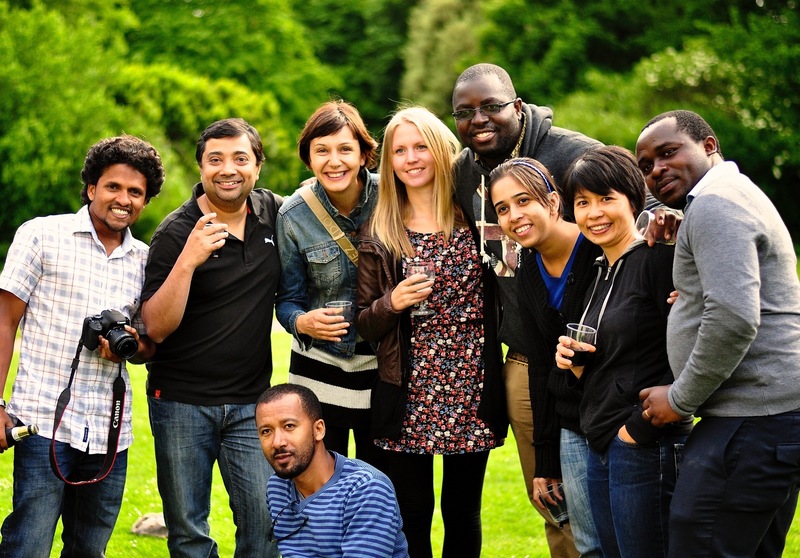 The social events (pub nights, barbecue, dinners, Brighton Festival events, hikes etc) intensified the interactions among us, and it was remarkable how quickly and easily people from different countries and backgrounds gelled. Musical talents (and lack thereof) were drawn out during the last ‘official’ social event that involved a rendition of the New Radicals’ Someday We’ll Know into a Summer School 2014 Theme Song, complete with piano and guitar accompaniments, performed to the delight of our polite teachers. I’m certain that the contacts and connections made from this summer school experience will be useful way into the future. Now that we are back to our posts, jobs and schools, the challenge now is to synthesize all the stuff we learnt, deepen our understanding on the new and fascinating things we came across, and apply whatever is immediately useful in our own work. For tweets, video, slides, and a more complete story of the summer school, visit the Storify page. To access information on past summer schools, click here. Click here for the student-composed, hilarious STEPS Centre Summer School 2014 Theme Song. This entry was posted in Grad School Life, Innovation, social science, Study abroad and tagged SPRU Science and Technology Policy Research, STEPS Centre. Bookmark the permalink.